The 2019 model year is bringing some changes for the MDX, a three-row luxurious SUV. 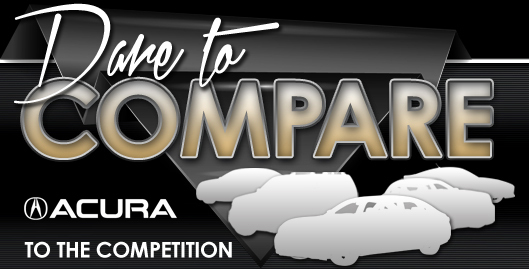 The biggest changes are geared toward increasing passenger comfort, while the external appearance of the vehicle has shifted to become more performance-oriented. The MDX now has an A-Spec trim package available for its appearance. Originally not a sporty vehicle at all, the A-Spec trim gives the vehicle a slightly more sporty appearance. There are wider tires that curl around 20-inch wheels. With dark trim edging the rear spoiler, grille, windows, and headlights, the MDX A-Spec is an bolder version of the 2019 MDX. 2019 is bringing the adaptive suspension to all Acura MDX models. In the past, this was only available for the MDX Sport Hybrid. All 2019 Acura MDX models have the option for an included Active Damper System, which hardens and softens the quality of your ride according to driver preferences. The Advance package adds heating to the 2nd-row captain's chairs. Three chair heating levels allow you to adjust to your ideal preference. Padded armrests can slide forward and backward. The seats in the second row can move forward and backward through about six inches, allowing massively increased legroom options. 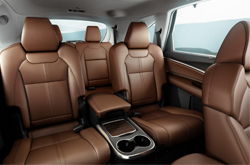 The vehicle is upholstered in Milano Perforated Leather, and the center console features dual USB ports. The Technology package refines your interior and delivers a premium navigation system, blind spot information, a backup camera, a premium sound system, and HD radio. 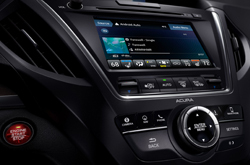 The Entertainment package gives rear passengers media options. If you upgrade to the Advance package, you can even get dual screens. The Technology package gives a single screen. A 2nd-row command center puts you in control of your music, while the rear surround sound system ensures everyone is part of the party. Even standard models come with a high standard of luxury. They boast a leather interior, basic connectivity features, and automatic high beam headlights. How Powerful is the 2019 MDX? 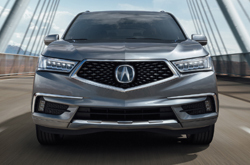 The 2019 Acura MDX uses an aluminum-alloy V6 engine for maximum power and control. The engine can push 290 horsepower at 6200 rpm, with 267 pounds of torque at 4700 rpm. The fuel tank has a capacity of 19.5 gallons. The Acura MDX is EPA estimated to get about 20 miles per gallon in the city, 27 on the highway, and 23 for combined trips. Its recommended fuel is premium unleaded. 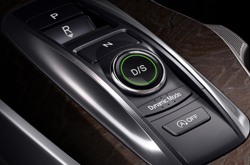 The unbelievable nine-speed automatic transmission has been upgraded with some tweaks. Now, it's smoother and easier to start from a complete stop. The 2019 MDX line has the same comprehensive safety features as the 2018 model. Safety features remain standardized across all MDX models and trims. The car has the following safety features: Driver and passenger airbags, a 4-wheel automatic braking system with disc brakes, child safety locks, and traction control. Additionally, the 2019 MDX comes with lane keeping assistance and lane departure warning systems. The safety features are fairly standard across the board. This is a luxurious, dependable model that you can customize to suit your ideal needs. Visit us today for a test drive.